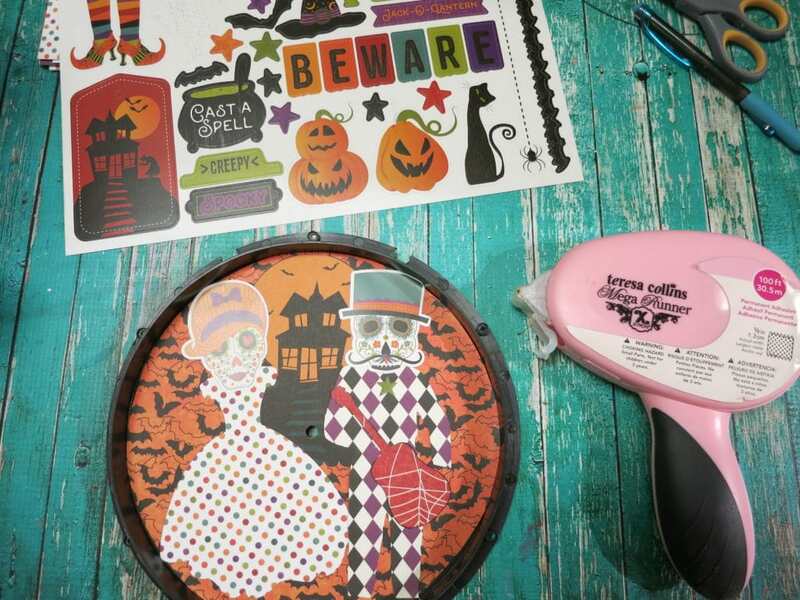 Spooky Halloween Clock Tutorial: Skeletons and Bats, Oh My! 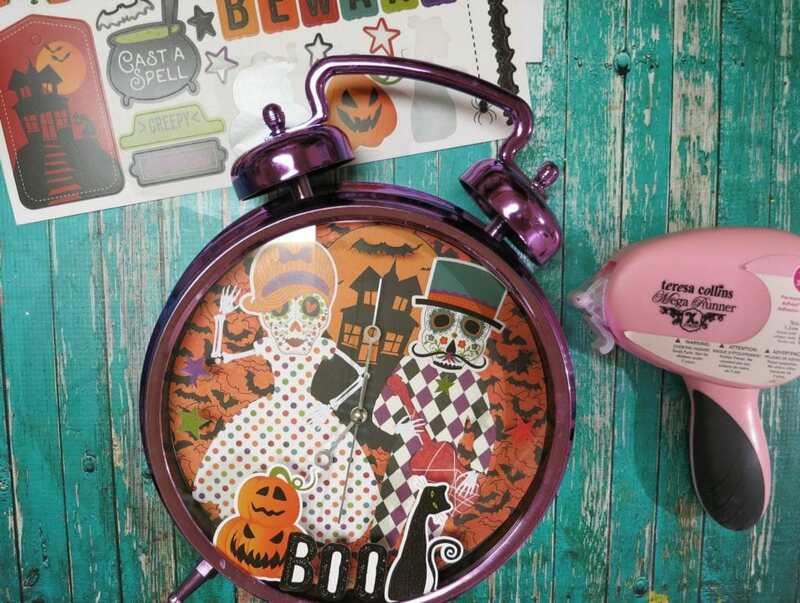 Make a spooky Halloween clock to decorate with this fall! This is a sponsored post. 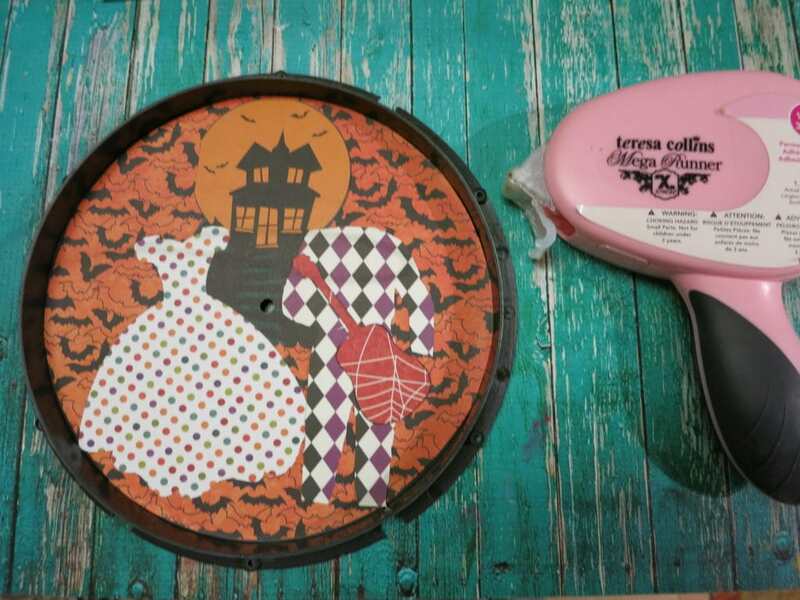 As you probably can guess, Halloween is my favorite holiday season to craft for. 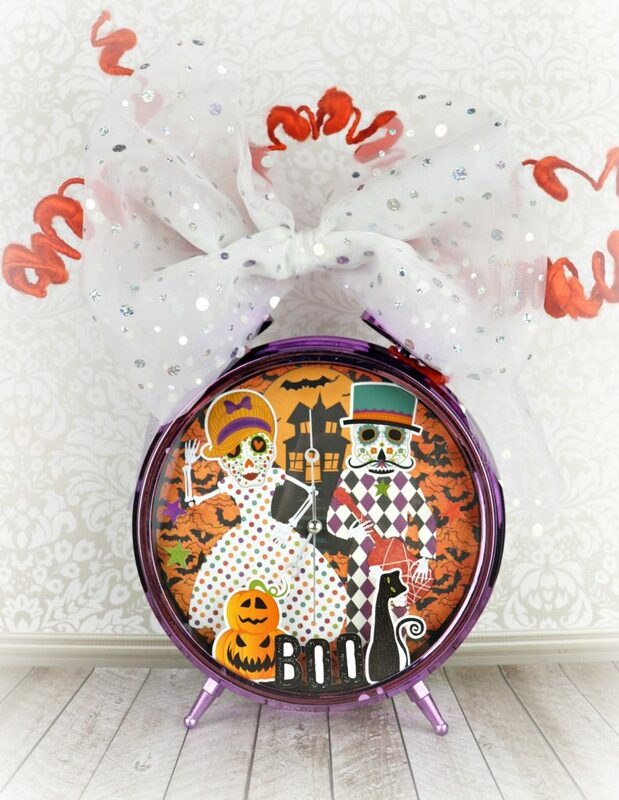 I have so much fun crafting goodies and home decor for this spooky holiday! 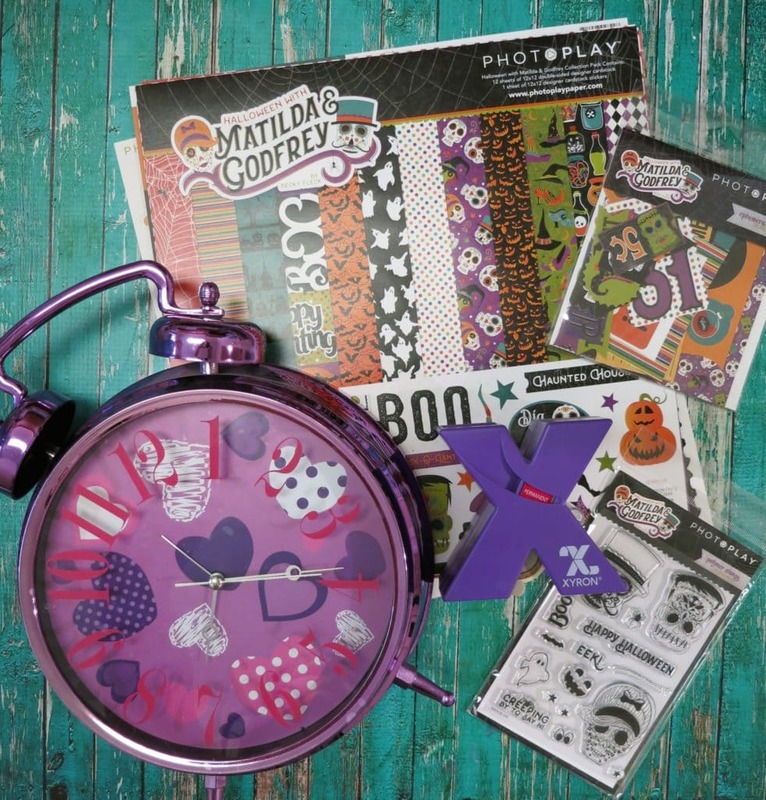 For this project, I used fun papers from Photo Play Paper, my always useful Xyron Mega Runner, and a bright purple alarm clock from Goodwill San Antonio. One of the things I hoard collect from Goodwill San Antonio is old fashioned alarm clocks. 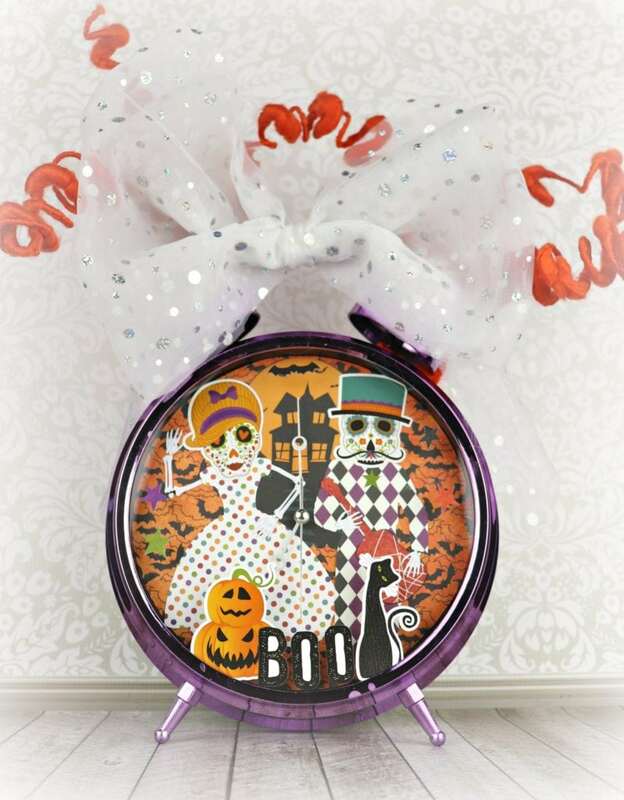 I just love this style and they are a ton of fun to alter! I have a big box full of clocks from Goodwill, in lots of colors and finishes. 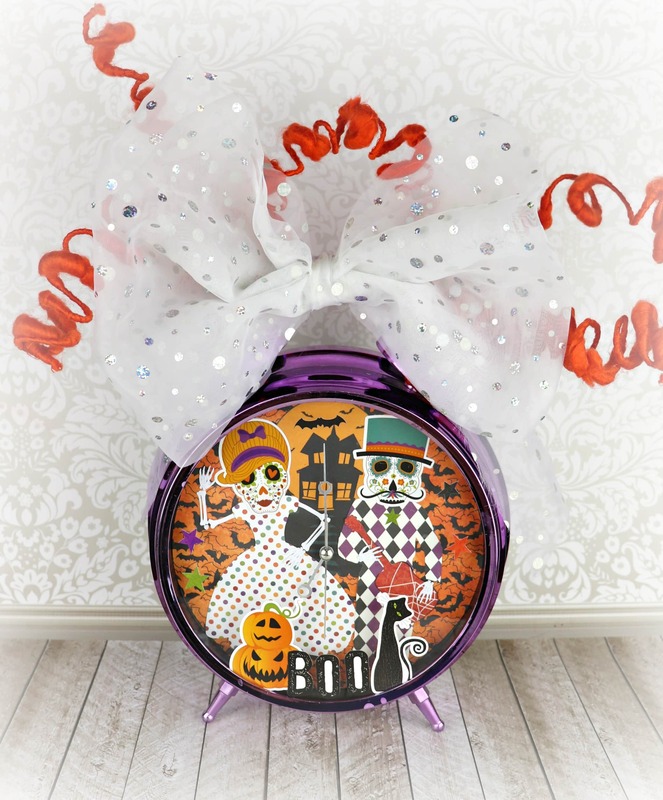 This huge purple clock was PERFECT for a Halloween project. The brightly colored papers and whimsical designs from the Matilda & Godfrey collection were exactly what I needed to bring this idea to life. Download my free SVG cut file to cut the dress, suit, and guitar from various papers in the collection. Cut the bone pieces from white cardstock. Disassemble the clock. Use a small screwdriver to take everything apart. Trace and cut the bat paper to fit the clock back. 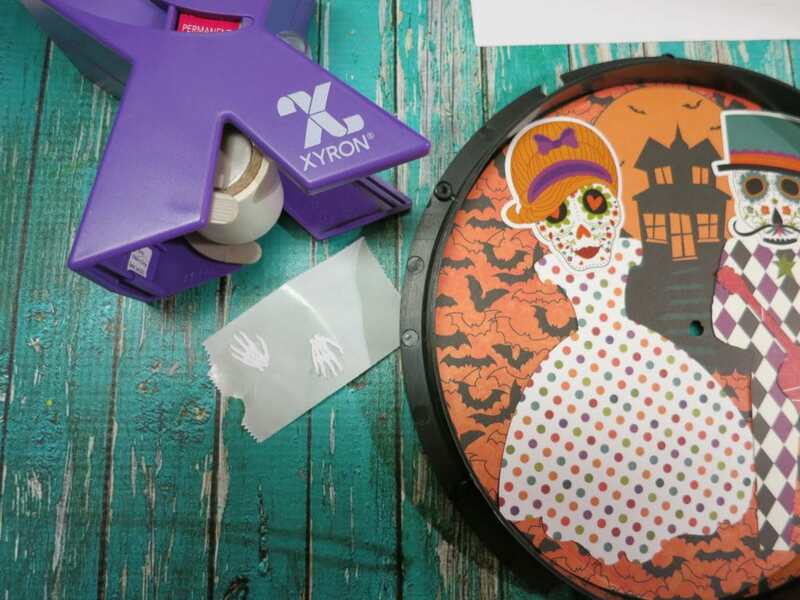 Use the Xyron Mega Runner to Tape the paper on. 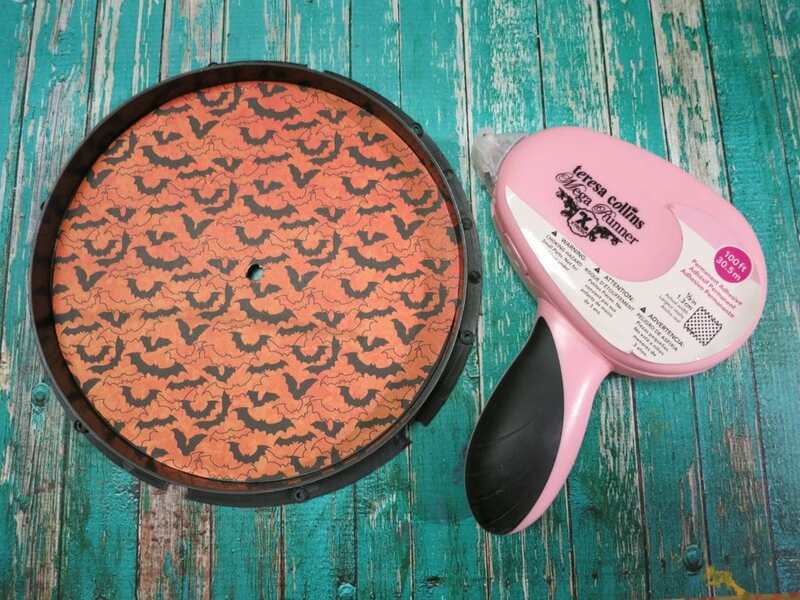 Cut around the moon shape and use the Mega Runner to stick it to the paper. Attach the clothes and guitar using the Xyron adhesive. Add Matilda & Godfrey using the stickers from the paper pack. I used my small Xyron sticker maker to attach the skeleton bones to the figures. Reassemble the clock by screwing all the pieces back into place. I used more stickers to add the pumpkins, the word “boo”, the black cat, and bats and stars. I stuck these right onto the front of the glass. 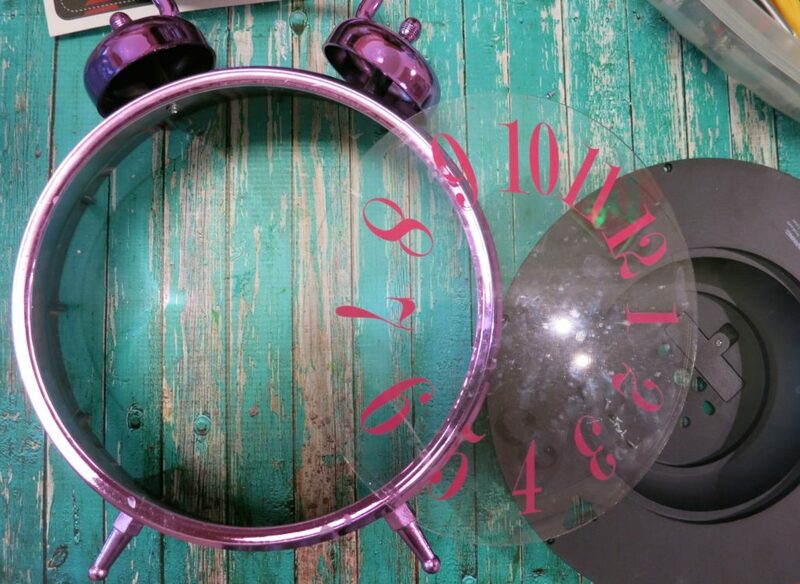 It adds some fun dimension to the clock!